Stanton is a small village in Tewkesbury Borough, Gloucestershire, England. It is located on the edge of the Cotswolds Hills, around three miles southwest of Broadway, in the neighbouring county of Worcestershire. Although Stanton is officially in Gloucestershire, it is often erroneously attributed to Worcestershire, as Broadway is the postal town. 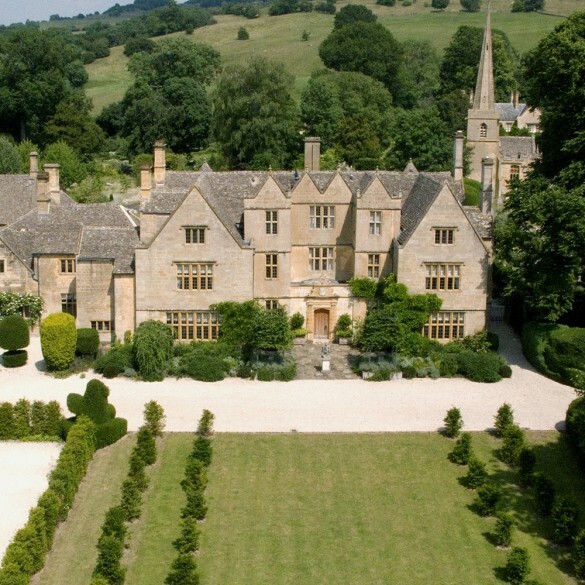 It is near Stanway, Gloucestershire, location of Stanway house. The Cotswold Way runs through the village. The village is almost completely constructed out of Cotswold stone, with a high street, and a pub (The Mount), at the end. Pevsner calls it ‘architecturally, the most distinguished of the smaller villages in the North Cotswolds’. Historic buildings include: St. Michael’s Church (Late Norman), Stanton Court (Jacobean) and The Manor (or “Warren House”) (built 1577). Kenulf, king of Mercia, gave the tithes and patronage of Stanton to Winchcombe’s Benedictine Abbey in 811. Charles Wesley and John Wesley were frequent visitors to Stanton when Lionel and Robert Kirkham were rectors of St. Michaels. Sir Philip Sidney Stott an English architect, civil engineer and surveyor, is credited with rescuing Stanton village from oblivion in 1906: He put his fortune and skills into restoring Stanton Court and other historic buildings in the village. Possibly standing on the site of a Saxon church, the earliest features are three Norman pillars from around 1200 which form the northern arcade. The south arcade was rebuilt with pointed arches in the Early English style, a bay longer than the previous arcade, together with a new tower of cut stone at the West end. Still visible on the south wall is evidence of stone benching for the old and infirm from the days when the majority of the congregation would stand during the parts of the service that didn’t require kneeling. The original pulpit and lectern dating from around 1375, and restored in 1982 is present, together with a modern pulpit added in 1684. Fragments of medieval stained glass are present in the east window, the south transept and the west window, which also shows the White Rose of York. The font, porch and parvise are fifteenth century. The reredos (1915), the rood screen and the east windows of the chancel and transepts are by Sir Ninian Comper and Squire Stott. In the north transept can be seen frescos of the Annunciation and Purification, fragments of the medieval screen. Sheppey Corner is a Grade II listed thatched cottage constructed around 1650 at the top of the High Street. It is often featured in Cotswolds calendars and postcards. 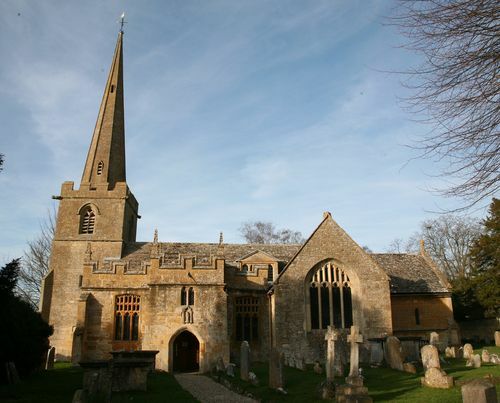 Like the rest of the village, it is constructed entirely out of Cotswold stone, a honey-coloured limestone. Although it was originally one big house and barn, it is now divided into three cottages: the Cloisters, Sheppey Cottage, and Pixie Cottage. It was extended rearwards in the 1960s. Next door to Cloisters is a large paddock, of which a little is cut away, what remains of the foundations of a house that was to be. Stanton Court is a listed Grade II Jacobean Manor House built for the Izod family in the early part of 17th Century. It passed to their relatives, the Wynniatt family in the early 18th Century, who then extended the house adding a wing with Georgian sitting room. The house was extensively restored by Sir Philip Stott in the 20th century. The Mount, as the name suggests, stands on the mount at the end Stanton high street. The pubs unique position provides the most spectacular panoramic views across the Vale of Evesham towards the Malvern Hills & even the Black Welsh mountains beyond. On a summer’s evening it is the most perfect spot to watch the sunset & enjoy a pint of ale. The 17th century village pub is one of the Donnington Brewery’s beautiful tied houses & alongside the brewery’s traditional beers offers a varied menu that serves to refresh the weary rambler, offer a quick bite for the locals or, if you prefer, the full 3 course experience. The excellent food is prepared freshly to order and uses locally sourced ingredients where possible. For the warmer months there is a large garden & terraced area for relaxing al fresco. The Mount Inn Pub in the village of Stanton, Cotswolds. 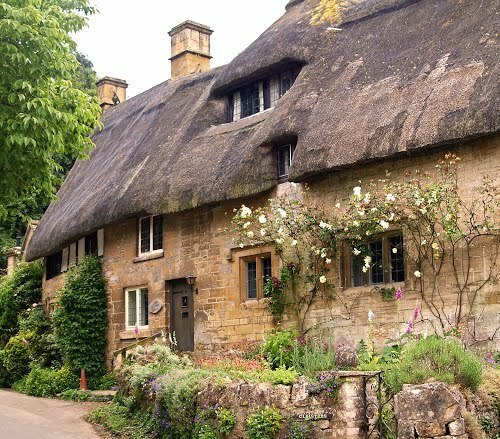 Why not visit Stanton and other pretty Cotswold villages on one of our driver-guide or cycling Tours of the Cotswolds?